Keep your engine healthy and prolong the life of your car with regularly scheduled oil changes at Kelly Grimsley Kia in Odessa, Texas. Changing your oil regularly is the most cost effective preventative maintenance and will help keep all of your engine running strong. 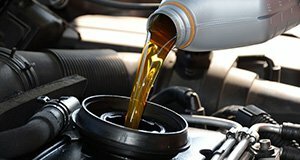 The expert technicians at the Kelly Grimsley Kia Service Department know exactly what type of engine oil your vehicle needs, whether it’s conventional or full-synthetic. We only use high-quality oil and oil filters, so you can rest easy knowing your car’s engine will perform, even in harsh conditions.